Millions of people suffer from chronic pain, either from an injury or as a result of a health condition. And many of them turn to pharmaceutical drugs for relief. While these drugs may indeed relieve the pain, they are often accompanied by some nasty side effects. Some are even highly addictive. The primary culprit behind chronic pain — and behind most chronic diseases, for that matter — is inflammation, an activation of the body’s natural response to an invasion, which often leads to tissue and joint swelling. While this response is necessary for the short term, if it persists, it can wreak havoc on your body. Traditional use and recent research have found a number of foods beneficial for reducing inflammation, as well as lessening various types of chronic pain. Before you reach for the meds, give the following five superfoods a try. Ginger functions as a natural anti-inflammatory agent in the body, thanks to compounds known as gingerols, as well as other antioxidants. It has been used in traditional Ayurvedic remedies since ancient times for reducing inflammation. It seems to have similar pain-relieving effects whether it is raw or heated. A 2012 study performed at the Copenhagen University Hospital in Denmark compared the effects of a ginger extract, ibuprofen and betamethasone, also known as cortisone, on inflammation caused by rheumatoid arthritis and osteoarthritis. Results showed that the ginger extract worked as well as both the ibuprofen and betamethasone at reducing inflammation. Like the betamethasone, it also reduced cytokines. These are substances released by the immune system that can lead to inflammation and inflammatory pain. Ibuprofen was not found to have any effect on cytokines. The key difference between ginger extract and betamethasone is that ginger does not come with negative side effects. Betamethasone, on the other hand, has a long list of potential side effects. These include seizures, high blood pressure, depression, weight gain and severe headaches, to name only a few. There are many ways to enjoy fresh ginger. You can brew a tea using four or five slices of the fresh root steeped to desired strength in boiling water. Or, you can chop it up and use it in a variety of recipes. You can also simply chew on a piece of raw, peeled ginger. Garlic has been used since ancient times for treating chronic pain. This beloved ingredient has anti-inflammatory, antibacterial, antiviral and antifungal properties. It has been used since ancient times in the treatment and prevention of a number of chronic illnesses. The antioxidant compounds found in garlic may give your immune system a much-needed boost if you are suffering from a chronic ailment. 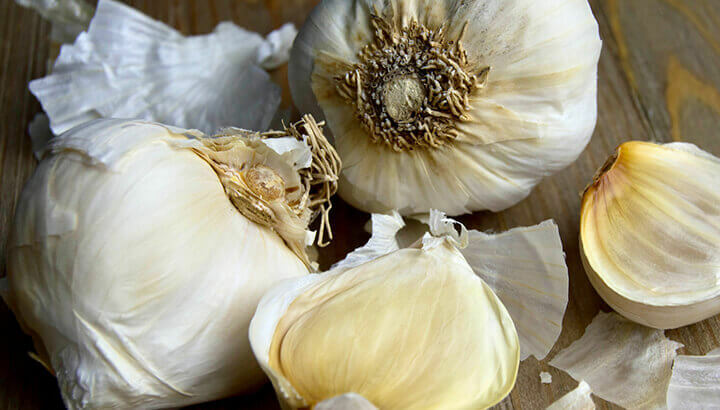 A 2013 study performed at the Namhae Garlic Research Institute in the Republic of Korea found that allicin, a compound found in garlic, reduced the body’s production of inflammatory cytokines. This study also found, however, that when raw garlic extract was heated, it lost some of its anti-inflammatory properties. This shows that to get the most anti-inflammatory benefits from garlic, it should be eaten raw and not heated at all. Add raw, chopped garlic to salads, salsas, guacamoles and other spreads and dips. You can also choose to eat the cloves on their own or with some olive oil, but the taste may prove to be too strong for many people. One great way to eat raw garlic is to chop a clove and combine it with some raw honey. This makes it much more palatable. This delicious Indian spice is the main ingredient in curry powder. Besides adding a rich, exotic essence to your meals, it contains a substance called curcumin. This compound has documented anti-inflammatory properties. Traditionally, turmeric has been used topically to ease the discomfort of inflammatory skin problems such as eczema and other rashes. It has been used internally to help ease arthritis pain, digestive distress, headaches, fibromyalgia and menstrual cramps. To get more turmeric in your diet, simply get out the slow cooker and start experimenting with various curry recipes. For a more concentrated effect, add a tablespoon into your smoothies or mix into a glass of milk. To use topically, simply create a paste with equal parts turmeric and coconut oil, then apply to skin. For chronic pain, olive oil has properties similar to ibuprofen. Antioxidant-rich olive oil is thought to be one of the main reasons behind positive health effects of the Mediterranean diet. Virgin and extra virgin olive oils boast a phenolic compound known as oleocanthal. This has been found to reduce inflammation throughout the body. Some of these studies discovered that oleocanthal works by blocking the body’s production of inflammatory COX-1 and COX-2 enzymes. The class of pharmaceutical painkillers known as Non-Steroidal Anti-Inflammatory Drugs (NSAIDs), such as aspirin and ibuprofen, work by inhibiting these enzymes, as well. Extra virgin olive oil is perfect as a massage oil, to soothe aching muscles and joints. It also works great as a base for mixing essential oils for massage application. Wintergreen oil and peppermint oil are two other ones to try for muscle and joint pain. 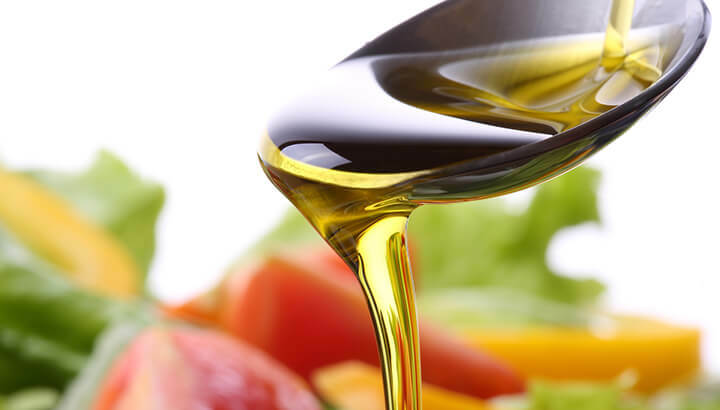 Drizzling extra virgin olive oil on your foods, especially raw in salads with spinach, kale and other super-greens, may help reduce inflammation throughout your body’s systems. Cayenne pepper, as well as other hot peppers, contain capsaicin. This substance has been found to lead to the release of endorphins and the lessening of many forms of chronic pain. Capsaicin helps relieve pain by its release of a chemical known as “substance P,” which is also released by the body when it sustains an injury. Capsaicin’s release of this substance signals to the nervous system that the body has been injured. This is what causes the initial burning, and, over time, a lessening of pain in that area. According to the New York University Langone Medical Center, topical application of capsaicin can be beneficial for the pain associated with diabetic neuropathy, fibromyalgia, back pain, the post-herpetic neuralgia that follows shingles and cluster headaches. To use topically, you can make a paste of two parts coconut oil to one part pure, ground cayenne pepper. Apply to sore muscles and joints. Beware not to get it in your eyes or on other sensitive membranes. 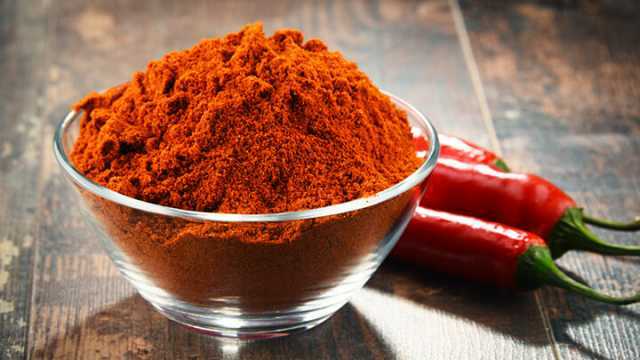 To take internally, add half a teaspoon of ground cayenne to a glass of water and drink once a day. It may be hot at first, but you will quickly develop a tolerance. Alternately, you can add it to a delicious fruit and veggie smoothie. With regards to the above superfoods, always choose organic to maximize nutrient content. This will also help you avoid potential exposure to pesticides. Check with a health professional before starting a regimen with one or more of these foods to treat a chronic condition. Hey Buddy!, I found this information for you: "These Superfoods Could End Your Chronic Pain". Here is the website link: https://www.thealternativedaily.com/5-super-foods-fight-chronic-pain/. Thank you.